Services, Q3 2015″ – diagram shown below. 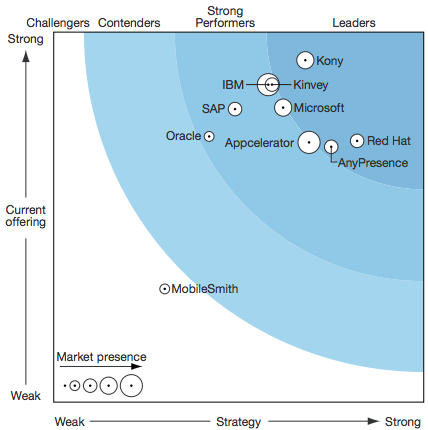 Forrester’s research uncovered a market in which AnyPresence, Kony, and Red Hat lead the pack. Appcelerator, Kinvey, IBM, Microsoft, Oracle, and SAP offer competitive options. MobileSmith is a market Challenger. Now that FeedHenry is part of Red Hat and the integration with Red Hat’s broader cloud and middleware portfolio is progressing that Red Hat Mobile Application Platform’s market presence will improve considerably and Red Hat will advance further up and to the right . Red Hat has moved into this market through acquisition of FeedHenry, and is quickly moving to connect its backend-as-a-service offerings to Red Hat’s own extensive set of integration tooling, JBoss Fuse. 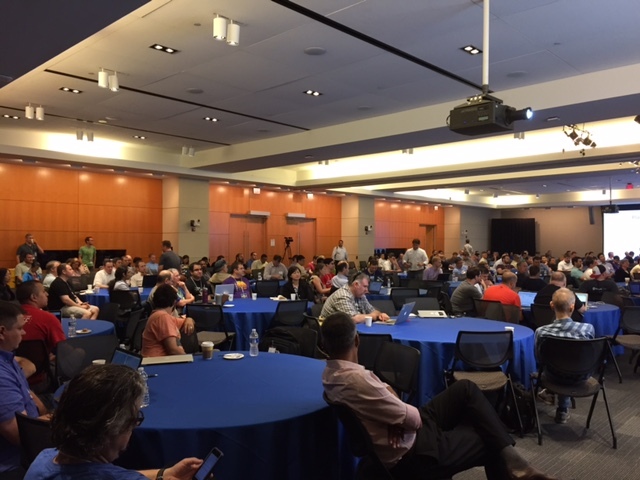 Congratulations to the Red Hat Mobile team – this is a great way to celebrate the first anniversary !